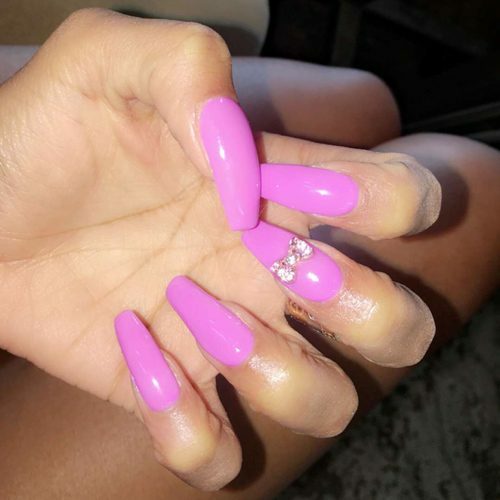 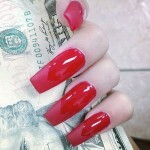 Cardi B wore a Kello Kitty inspired manicure designed by Jenny Bui aka @nailson7th. 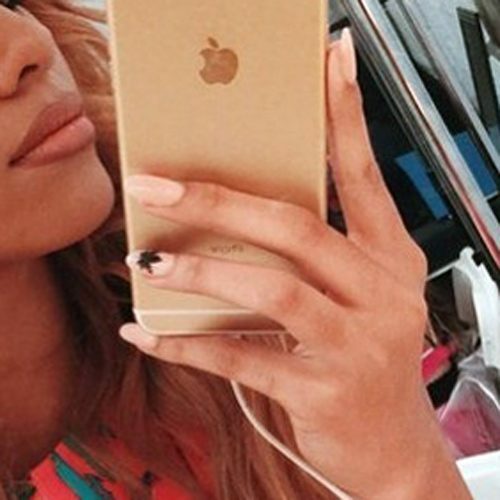 Teala Dunn wears hot pink manicure with jeweled bow decoration applied on one of her nails. 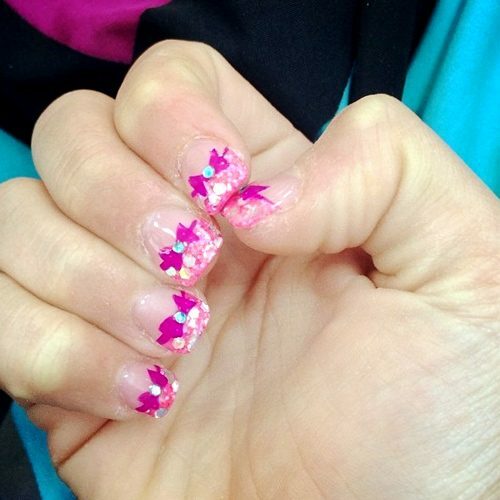 Jojo Siwa wears pink bows and pink tips with stud decoration on her nails. 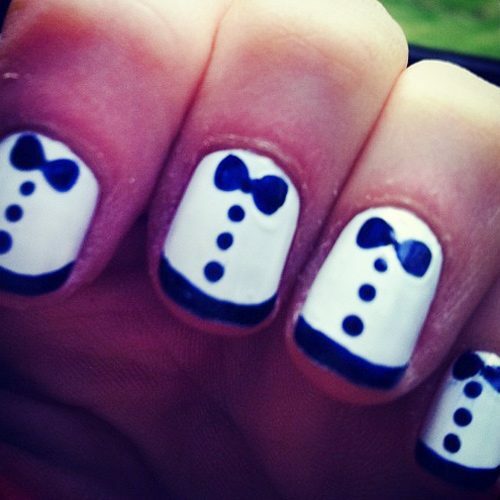 Dinah Jane Hansen wears oval long pink nails with black bows decoration. 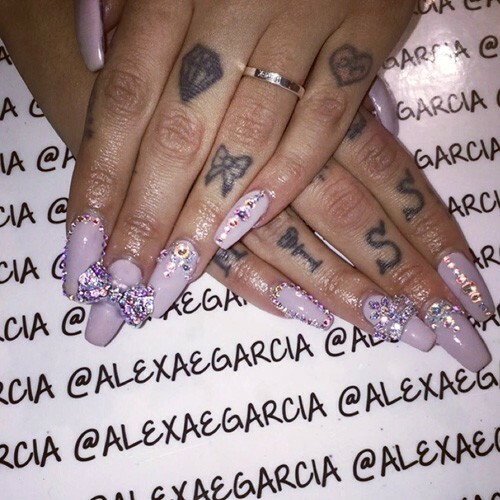 Hanna Beth Merjos had holiday sparkle manicure in lavender color and sparkling beads ans studs applications made by Celebrity Nail Artis Alexa Espinoza-Garcia. 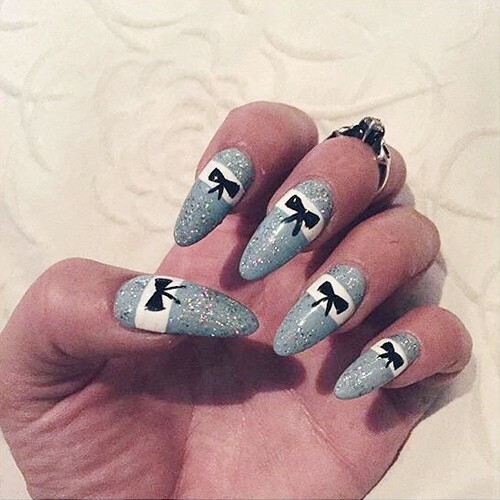 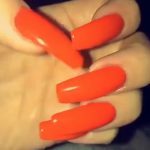 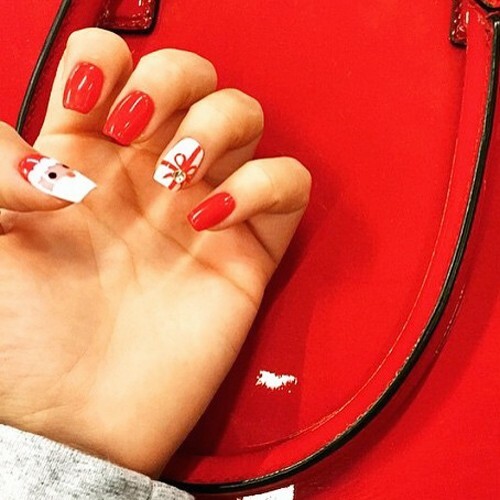 Gabriella DeMartino reposted an Instagram image with her last Christmas’s manicure. 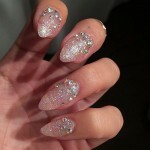 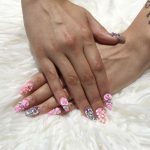 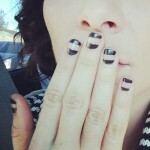 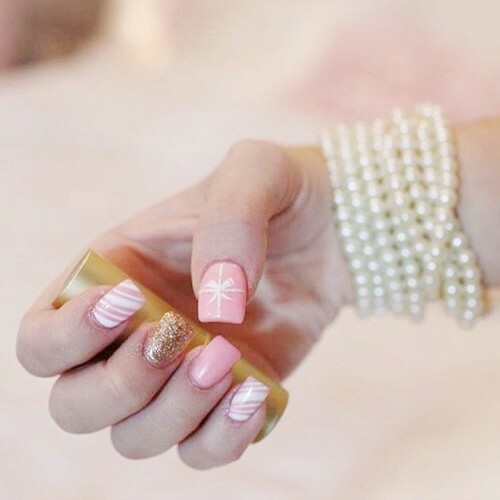 She had pink and white nails decorated with gold glitter, stipes and wrap bow.